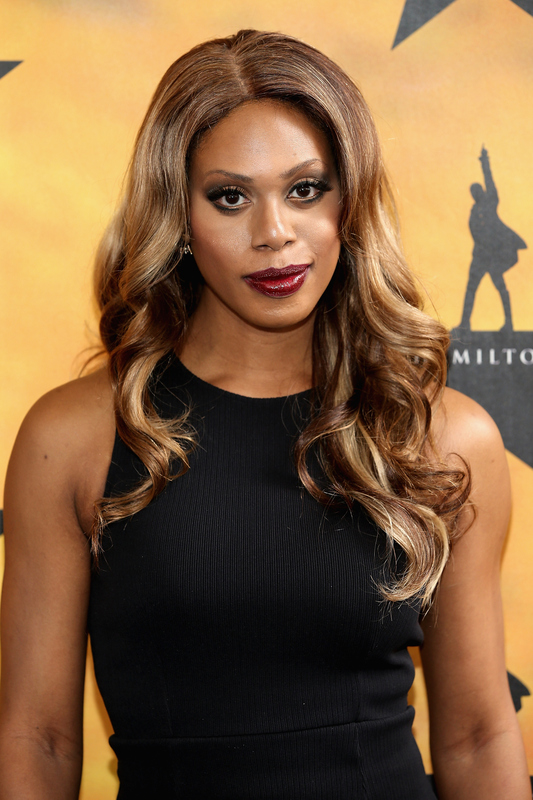 With the role of Sophia in Orange is the New Black, Laverne Cox broke onto the scene as a major player in both the acting world and the crusade for LGBT rights. But Sophia is not the only character whom the actress has brought to life; she's had roles in several major TV shows and movies, and in fact, there are now plenty of places to see her that aren't just OINTB. This month, Laverne Cox appears in Grandma as a tattoo artist who provides some ink for the film's protagonist, played by Lily Tomlin. Although it's a minor role, it is an important example of the significance of trans actors appearing in the mainstream film and television industry. The inclusion of trans actors in major film and TV projects is hugely important, as it provides members of the trans community who may feel isolated or at a loss for relatable trans figures in the media with just that. Cox has been at the forefront of on-screen representation since she burst onto the scene a few years back. When she plays trans characters, like her tattoo artist in Grandma, it's so important, especially for LGBT people who typically don't see themselves depicted in movies and television. Cox has addressed this, telling Emertainment Monthly in 2013, "For trans folks out there, who need to see representations of people who are like them and of their experiences, that’s when it becomes really important." Thankfully, Cox's career couldn't be going better, and audiences can see her all over screens big and small. In addition to Grandma and OITNB, here are a few more shows and films which have featured the fantastic Laverne Cox. Cox received an overwhelming amount of praise for her portrayal of Sheena on The Mindy Project. Sheena is Tamra's cousin who comes to town and revamps both Mindy's look and her self-image. Naturally, she does this while rocking an amazing blue jumpsuit that literally nobody else could pull off. This 2011 indie is a story about love, dance, and resiliency. Cox plays a supporting role as a trans woman in a wheelchair who doesn't allow her disability to dampen her passion for life. I'd really like to see it, but I can't even make it through the trailer without getting teary. This film about a trans woman's transition was made in 2011, but wasn't able to be released at the time due to a lack of financing. It was finally funded through charitable efforts and a campaign by the filmmakers, and re-emerged in 2015. Speaking to MSNBC, Cox said of the project. "I was so excited about this film because this is a very real story I have seen time and again over the years with people in my life, but have never seen it told in a film so truthfully." Laverne Cox has made some amazing contributions to the entertainment industry, both as a talented performer and as an LGBT activist. It's great to see her in Grandma, as it's reassurance that Cox's career is continuing to grow. Her next project will be the TV movie Doubt — not to mention Season 4 of Orange is the New Black! It's clear that the actress is on a roll, breaking barriers in television and in real life.